Hopefully I haven’t lost all of my reader’s by now… I know it’s been 12 days since my last post, which is like 15 years in blogging time, but never fear, I am back. 🙂 So, what has kept be busy for so long? We’ll the day after my last post John and I headed to Lake Dardanelle to suprise my grandparents (That’s what the Cupcake Flavor Search was in regards to). 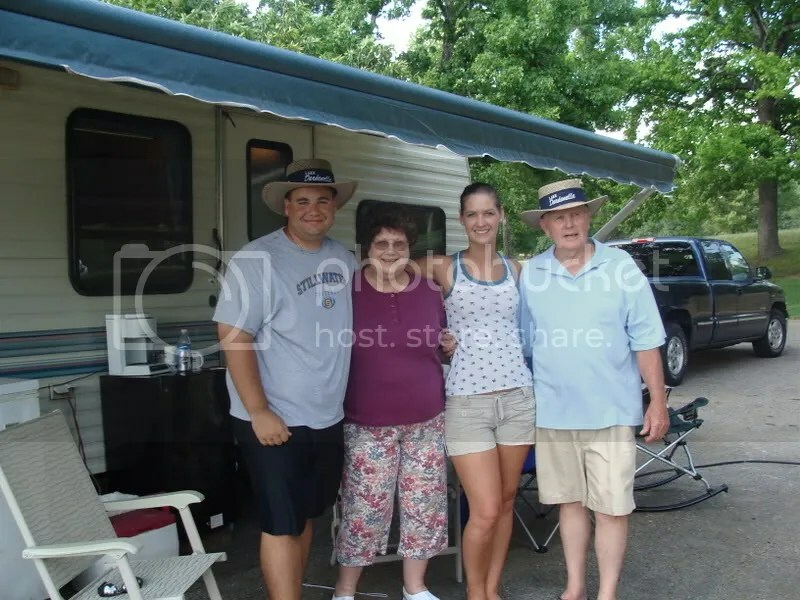 Every year they head up to the Lake with several extended family members for a week long camping trip. It was a lot of fun! We got the chance to hang out with several cousins (?) that we’ve never really been around and they are all such fun people. John and I are hoping to be able to go back next year and stay longer than just the weekend. 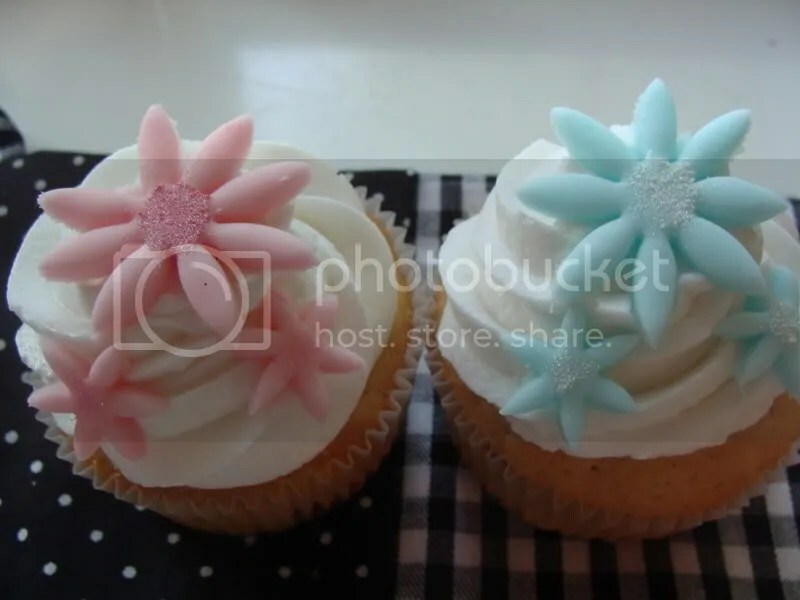 So, what kind of cupcakes did I make? Well, I forgot to stop at the store on my way home to pick up some ingredients needed for the amazing recipes mentioned, so I kind of made my own version of strawberry cupcakes. These aren’t as pretty as the master CB‘s, but I think they are pretty still. 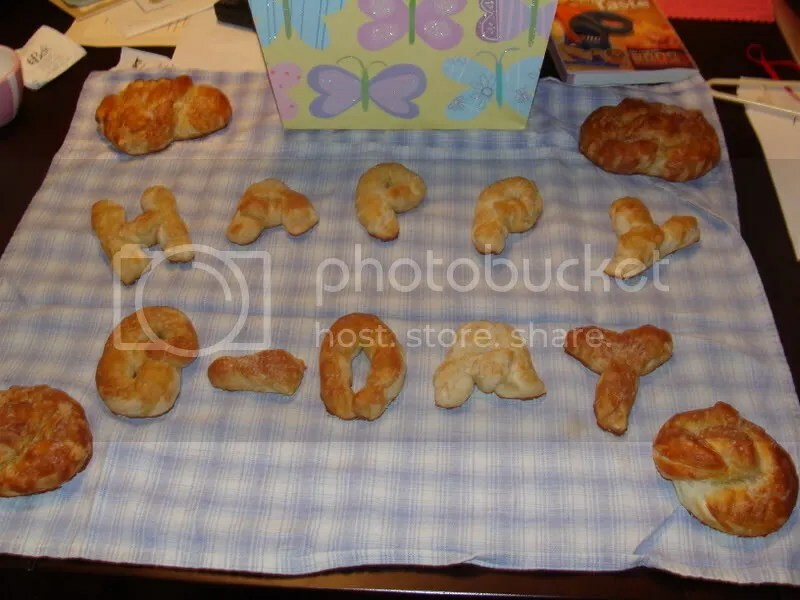 I had printed off a pretzel recipe that I found on a blog and have been wanting to try them. He found it and decided to try making them. Apparently, “they are very easy and taste amazing out of the oven.” I just warmed mine up in the microwave for a couple minutes and they were delish. I am at a lost on what to cook, so I’m drawing on all my faithful viewers (all 5 of you 🙂 ) to help me out. I’m going to a party this weekend. I’m wanting to bring a dessert, cupcakes I think. But I can’t think of what flavors I should make. (This is where you all come in..) Post me a comment with your favorite cupcake flavor (cake and icing). The winning combo will get a special surprise in the mail from me. I have to make these tonight, so comment today! Edited to Add: This is an outside party. So, it will probably be pretty warm. I won’t lie, I wasn’t too excited when Di chose this recipe. I’m not sure why it didn’t excite me since I love brownies, but nonetheless, I wasn’t too excited. I almost didn’t even make the recipe. 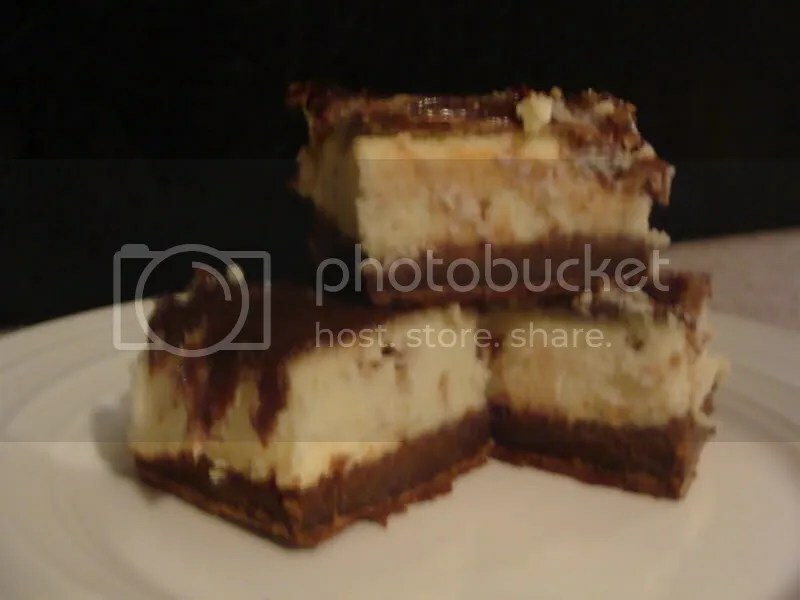 But while looking at blogs last week someone (I forgot who it was, and maybe it’s better to protect you 🙂 ) posted about their mom’s super secret cheesecake brownie recipe. Oh my goodness, that sounded amazing! But since this was a super secret recipe, she only taunted us with the delicious looking pictures, but no recipe. So, the wheels in my head started turning (John claimed to smell smoke) and I had an idea! I could make this brownie recipe and top them with the delicious Daring Bakers yummy cheesecake recipe from April. Surly this would work…. 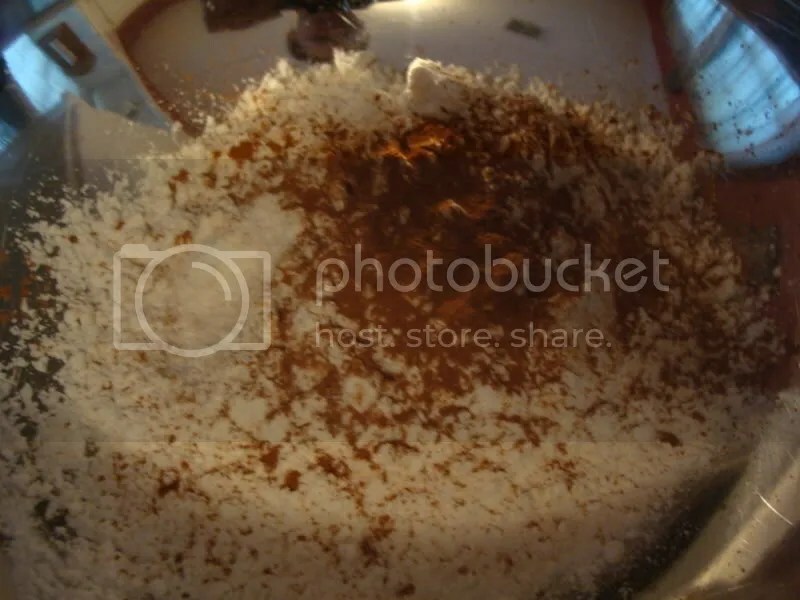 Whisk together the flour, salt and cinnamon, if you’re using it. 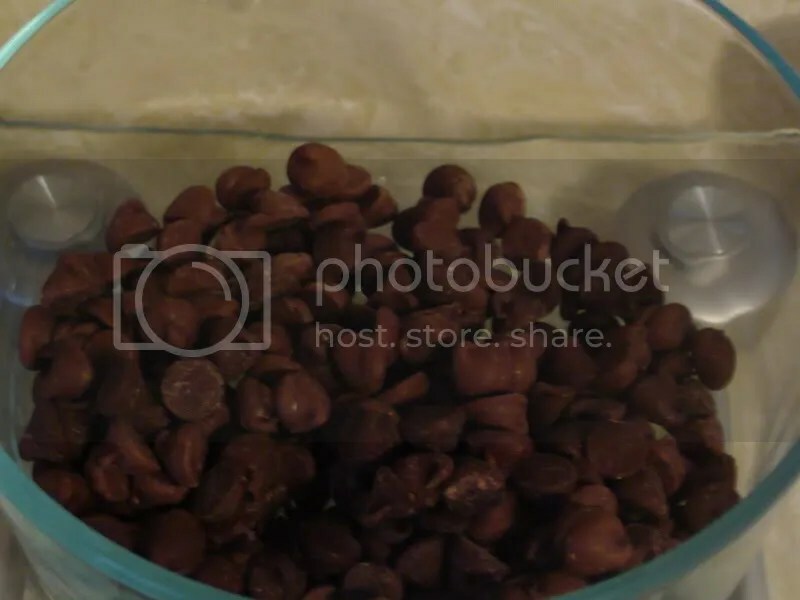 Put the raisins in a small saucepan with the water, bring to a boil over medium heat and cook until the water almost evaporates. Add the rum, let it warm for about 30 seconds, turn off the heat, stand back and ignite the rum. Allow the flames to die down, and set the raisins aside until needed. I completely omitted this part. 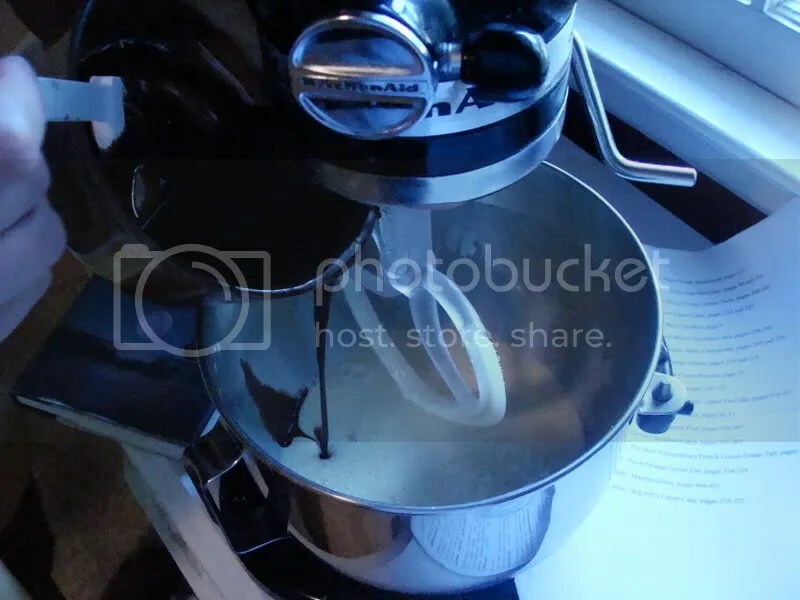 Working with a stand mixer with the whisk attachment, or with a hand mixer in a large bowl, beat the eggs and sugar until they are thick and pale, about 2 minutes. Lower the mixer speed and pour in the chocolate-butter, mixing only until it is incorporated—you’ll have a thick, creamy batter. Add the dry ingredients and mix at low speed for about 30 seconds—the dry ingredients won’t be completely incorporated and that’s fine. Finish folding in the dry ingredients by hand with a rubber spatula, then fold in the raisins along with any liquid remaining in the pan. Scrape the batter into the pan. 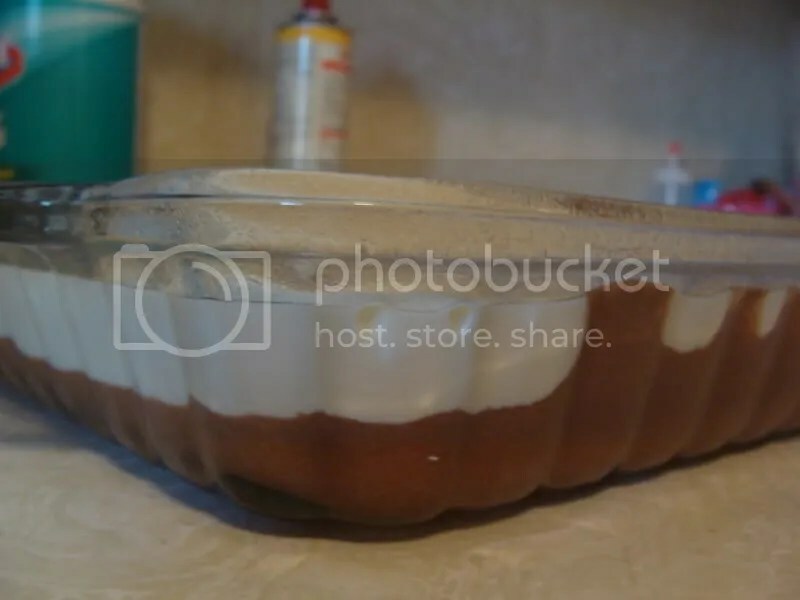 Before baking these brownies, I mixed up the cheesecake mixture and layered the cheesecake batter ontop of the brownie batter. Bake 50 to 60 minutes, or until the top is dry and crackled and a knife inserted into the center of the cake comes out clean. 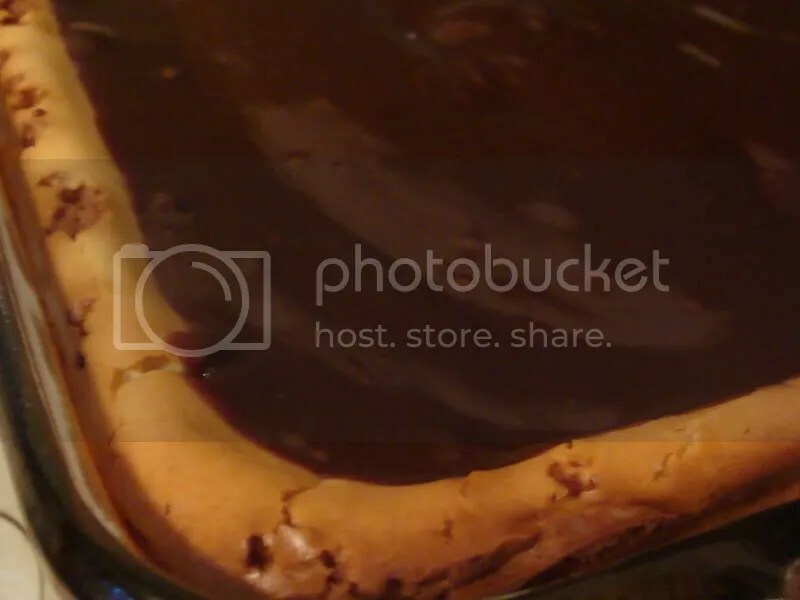 Transfer the pan to a rack and allow the brownies to cool to warm or room temperature. Serving: The brownies are good just warm or at room temperature; they’re even fine cold. I like these with a little something on top or alongside—good go-alongs are whipped crème fraiche or whipped cream, ice cream or chocolate sauce or even all three! I also made a choclate ganache with milk chocolate chips and a little whole cream mixed together to put on top. Sorry these aren’t the best pictures, I was rushing out the door to work and didn’t have time to take great pictures. These are fabulous!! I have recieved so many compliments on them, I can’t wait until I have another excuse reason to cook them. Check out all the other fabulous TWDers brownies!